Louzelle “Lou” Smith Durden, a longtime resident of the Lilburn and Gainesville areas in Georgia, passed away peacefully Thursday the 11th of April at Northeast Georgia Medical Center in Braselton, Georgia. Lou was 77 years old and is survived by her loving husband of 54 years, Elbert Charles Durden; her two sons, Casey Durden of Suwanee, GA and Cory (Heather) Durden of Dallas, GA. Lou had four very special grandchildren, Clair, Will, Kate, and Molly; and two Brothers David (Krista) Smith of Kings Mountain, NC and Tom (Pat) Smith of Georgetown, TX, numerous nieces, nephews and cousins. Lou was preceded in death by her parents Mr. and Mrs. Wilbur G. Smith and a brother, Richard Smith. Lou was born in 1942, in Greshamville, GA on the family’s homestead property. At the age of eight, the family moved to Kings Mountain, NC. She attended Kings Mountain High School and continued her education at Georgia State University, where she met her devoted husband, Elbert. Lou was a proud stay-at-home mom with their two boys for over twenty years. She would fill her time and stay close to her sons by substitute teaching for the Gwinnett County School System. This is where she earned her many nicknames, often referred to as Mama Lou, Ms. Lou, Ms. D and Aunt Lou. Later, Lou pursued a successful career in real estate and received the distinct recognition as a Life Member of the Million Dollar Club. Lou was a devout member and volunteer of Gainesville First United Methodist Church and an active member of the Aldersgate Sunday School Class. Earlier in life, while living in Lilburn, she was a devout member and volunteer of Harmony Grove UMC. Lou loved being involved, teaching and volunteering in her church. Lou loved all holidays and decorated the house for each and everyone. Her family will always cherish our holiday memories and the care she would go to make them special. Some of our fondest memories are finding Easter eggs months later, receiving a card in the mail for EVERY holiday and her love of singing joyously in church. Lou always knew how to make times special and memorable. Lou never met a stranger and loved her friends’ children as if they were her own. She had a true gift of making people feel comfortable with her beautiful smile and outgoing personality. She also loved good food and socializing. 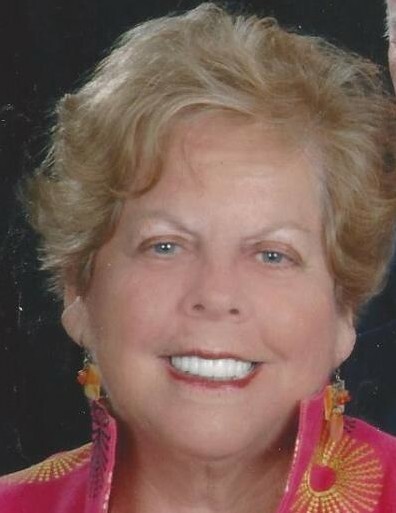 She was a member of the Lilburn Woman's Club, Newcomers Club in Gainesville, volunteer for the Northeast Georgia Medical Center Women’s Auxiliary, and the Gainesville Gourmet Group. The family would like to extend their sincere thanks to the staff at The Oaks at Braselton’s Horizon Unit and Northeast Georgia Medical Center Hospice for taking loving care of Lou. Visitation will be held on Sunday, April 14th at Little Davenport Funeral Home at 355 Dawsonville Hwy in Gainesville from 2:30-4:30pm. Her funeral service will be held on April 15th at Gainesville First United Methodist Church at 2780 Thompson Bridge Road in Gainesville, GA at 1:00pm. Interment will be a private ceremony at New Hope Baptist Church in Greshamville, GA. In Lieu of flowers, Lou’s wishers were to please donate to the Fork Chapel UMC cemetery fund, c/o Perkins Williams 1761 Farmington Road, Madison, GA 30650.